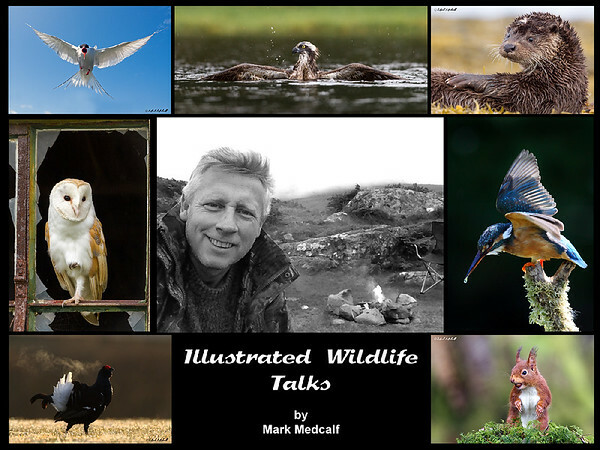 Mark is an experienced speaker available to visit your club/organisation to give an illustrated talk on a number of aspects in relation to wildlife photography. How to Take a Good Wildlife Photograph. British Wildlife - Out from the Hide and Into the Light. Each talk is approximately 2 hours in duration including a 15 minute intermission half way. Please contact him to discuss availability and fees. Hi Mark, I was at the Skelmorlie Camera Club meeting this evening and am in awe of your beautiful wildlife photography. Your presentation was so engaging and so inspiring and has reminded me of the reason why I have a camera....I am excited to get on and do some research, network, find the right locations at the right time of the year for the right subjects....your list makes so much sense and will hopefully help me to improve my wildlife photography and maybe experience that great feeling of owning a winning shot! Thank you again, Sincerely, Caroline. Skelmorie Camera Club. Hi Mark, Your presentation last night at SDCC was excellent and was well received by our members. Your work reflects your love for the subject and your dedication to achieving perfect results which you displayed admirably at the club last night. The level of questions and involvement from the audience was tremendous and I would like to thank you for your patience in explaining your craft. I am sure you have inspired many of our members to have a go at wildlife photography. Many thanks again for an entertaining and informative evening. Bill McKenzie President - Stirling & District Camera Club. Hi Mark, just another word of thanks for last night, you will no doubt be asked around the clubs and given your easy and competent manner of presentation it will be a good lecture for everyone... Ronnie Stokes.